It’s a struggle to rationalize writing for free. 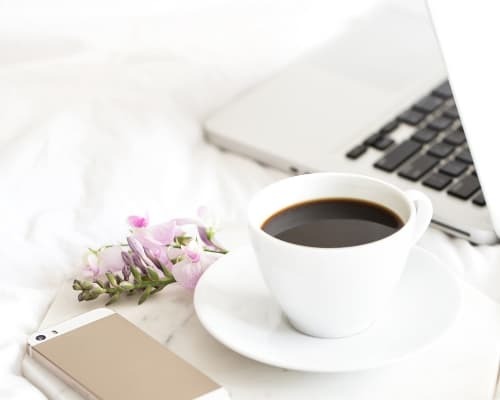 Although, after doing fair amounts of research into guest blogging, I’ve concluded that it, like having an active social media presence, can significantly increase not only your stance regarding your level of expertise but also your site’s page views. Both of which are big pluses in the entrepreneurial world. 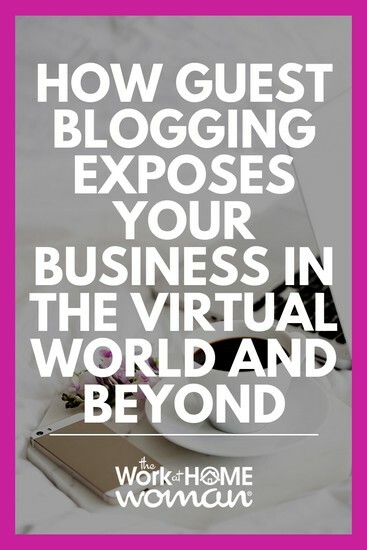 Read on to see how guest blogging can help your business branch out in the virtual world and beyond. Why Should You Submit Guest Blog Posts? Who doesn’t want more traffic to their site? Guest blogging will bring in just that, and more page visits equal more chances for potential customers to become full-time clients. The more you guest post on others’ blogs and websites, the more likely you are to attract new and unique web visitors to your site. If this is the main reason you choose to guest blog — then it’s a very good one. When you choose your company’s niche, it’s no secret that there are already tons of others claiming to be the best in that same category. You need to work extra hard to rise to the top of your chosen area, guest blogging is one way to get your name, your business, and your product out there and in the limelight for others to discover. If you write on big-name blogs, then your chances of being shared all over the social media sphere become high. Increased web traffic, potential clients, and name recognition are all big advantages to being shared throughout the social media outlets on experts’ sites. When you guest post somewhere, you can add this to your exposure list. Let your visitors know that you were a guest on this blog and that blog and provide them with the link for easy navigation over to that site. The more blogs and websites you ‘guest’ on means more links for you to add under your ‘experience’ tab. Because Google is constantly changing their analytical algorithms, you can never go wrong with having anchor text on other sites link back to you. This will help Google crawl your page and rank you higher in their search results – again, resulting in increased exposure to your company’s website. By submitting guest posts, you’re able to interact with other bloggers on a more intimate level, which in turn builds your network or pack (as Michael Martine calls it). As humans, we naturally want to help our friends, and in the blogging world, this equates to more introductions, links, tweets, and comments. What is their Alexa Rating? What does their social media footprint like? How do they promote blog posts? By answering these questions, you can get the most bang for your buck. If you’re going to submit an article for consideration, make sure that it has added value for the readers. You will also want to ensure that you have followed all of the guidelines for submission (proper length, suitable topic, correct spelling and grammar). You should also refrain from using affiliate links within the post as well as staying away from blatant self-promotion within the post. Also, consider how much time you have to dedicate to writing guest blog posts. If you take on too many, the quality of your writing may suffer, and you don't want to be associated with bad or mediocre content – your reputation is on the line. Perhaps you can only contribute one new article every three months – that's okay, it the quality of the content that matters. Many times popular bloggers and influencers won’t even consider publishing your post unless they know you. One way to start building a relationship is to start reading their blog and leaving thoughtful comments. You can also interact with them on the various social networks, or shoot them an email just letting them know how much you enjoy their blog. After you’ve been around for a while, you can pitch them about a topic or theme that you would like to write about. Submitting guest posts to your favorite blogs is a great place to start because you’re already familiar with the audience, blogger, and topics. However, if you haven't been commenting on their blog and sharing their articles via social media — start doing so. Bloggers are way more likely to accept your pitch if they know and like you. You'll also want to take a deep dive into their content to see what they've already written about so that you can pitch an original topic that will knock their socks off. For those of you who are not familiar with HARO, it stands for Help a Reporter Out. Here, journalist, writers, and bloggers can submit media queries and individuals looking to become sources can reply. This is a fast and easy way to learn about new blogs in your niche and to provide answers where your expertise will best be utilized. HARO is free to join and can yield some fantastic results. When in doubt use Google to search for blogs that relate to your niche. Dig deep, read various posts and when you find some that you love, and see if they offer guest blogging opportunities. Often this sort of information will be displayed on the about, contact, or FAQ page. Because there are so many pros to guest blogging, you really can’t go wrong with it. The thing to keep in mind with any sort of ‘free writing’ is to not make it the only thing you do since there’s no upfront capital involved. Incorporate it into your schedule but only after you’ve researched the best sites to contribute to. You should focus your ‘guesting’ on bigger sites within your company’s niche so you can reap the aforementioned benefits without having to push your guest content all that hard – their big audience will help do that for you. Great tips! It is also helpful to find a high traffic site to submit your guest article to. I accept guest articles on my online magazine. Glad you enjoyed the tips, Cascia! Yup, finding sites that have high a DA definitely helps with your link building efforts.